Richmond farms for sale are a gem to find and an equestrian dream come true. Because these estates are nestled on the prime agricultural lands of Madison County, these properties are often overlooked by horse enthusiasts. However, agricultural properties are often less expensive and they boast the high quality grazing soils needed to make Richmond an ideal place to raise horses. The farming community of Richmond is a mere 25 miles southeast of the larger center of Lexington and officially falls within the Greater Lexington Metropolitan Area. Richmond is the 6th largest city in Kentucky and is the Madison County seat, allowing the community to thrive both socially and economically. Find out more about Richmond land & farms below! 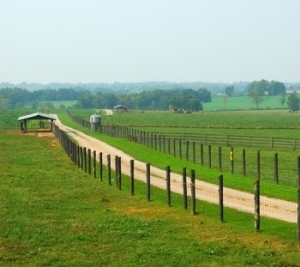 Kentucky is well known for the strength of its agriculture industry. Meat broilers, corn, horses, cattle, and tobacco are all major commodities, and altogether the Bluegrass State boasts more than 70,000 farms. When it comes to buying land in Richmond, farms for sale come in many shapes and sizes. Explore properties that measure a sprawling 200 acres. Some are already set up for a farmer to move in with their tractor, seeds, and vision of flourishing crops. 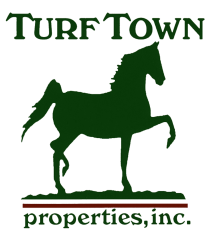 Others have barns or stables in place and are perfect for a private or commercial horse farming venture. Others still offer homeowners a taste of country-style living and brag impressive houses. The Richmond real estate market has it all. Prices begin around $10,000 for a one-acre lot and can extend well beyond a million for one of the largest properties in this market. Whether you love to fish on calm waters, walk through natural forests, or shop with friends, Richmond land owners are free to pursue countless hobbies and interests. When it comes to golf, Richmond shines. Gibson Bay Golf Course and Madison Country Club can both be found within the city limits. Situated along the shores of Lake Reba, Gibson Bay Golf Course spans 7,100 yards and winds golfers through a picturesque fairway populated by grassy slopes and trees. Numerous additional local and national businesses are also located within the community, allowing Richmond to be economically independent. And only minutes to Lexington, Versailles, and Winchester, Richmond is the perfect community to call home. Those who hunger for knowledge will be pleased to find that Richmond is home to Eastern Kentucky University. The school was founded in 1874, and today, the school has grown to offer numerous undergraduate and graduate degree programs. Everything from anthropology to statistics can be studied on campus, and the institution offers its students a well-curated selection of online programs as well. School-aged residents of Richmond are served by the top-notch Madison County School District which educates more than 10,000 students from Preschool to Grade 12. With a focus on a well-rounded education, these children have ample opportunity to expand their horizons.